Goodlife have been making vegetables the star of the show for over 25 years. 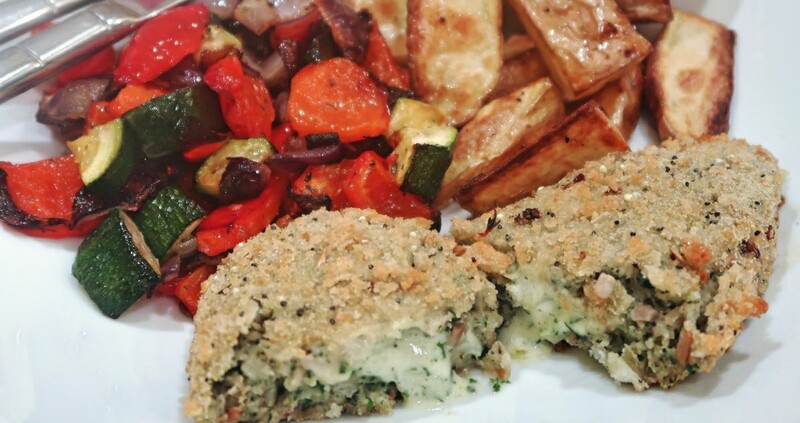 Their frozen vegetarian sausages, burgers and kievs are packed full of your favourite veg. They also have no artificial additives, preservatives or colours. Although we are not a vegetarian family, we do eat meat-free meals fairly often. There are many reasons to introduce vegetarian meals into the weekly meal plan. Meat-free Mondays is a movement that seeks to raise awareness of the detrimental environmental impact of eating meat and reduce our carbon footprints. In addition, there are many health benefits to eating less meat. In 2010, a study carried out by Oxford University’s department of public health found that eating meat no more than three times a week could prevent 31,000 deaths from heart disease, 9,000 deaths from cancer and 5,000 deaths from stroke, as well as save the NHS £1.2 billion in costs each year. 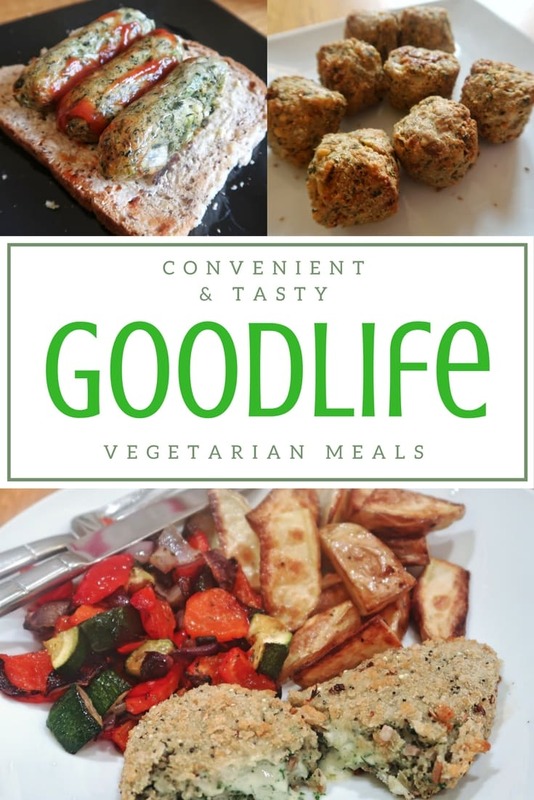 Convenient and appetising vegetarian options like Goodlife are also great when you are trying to eat healthily and lose weight. 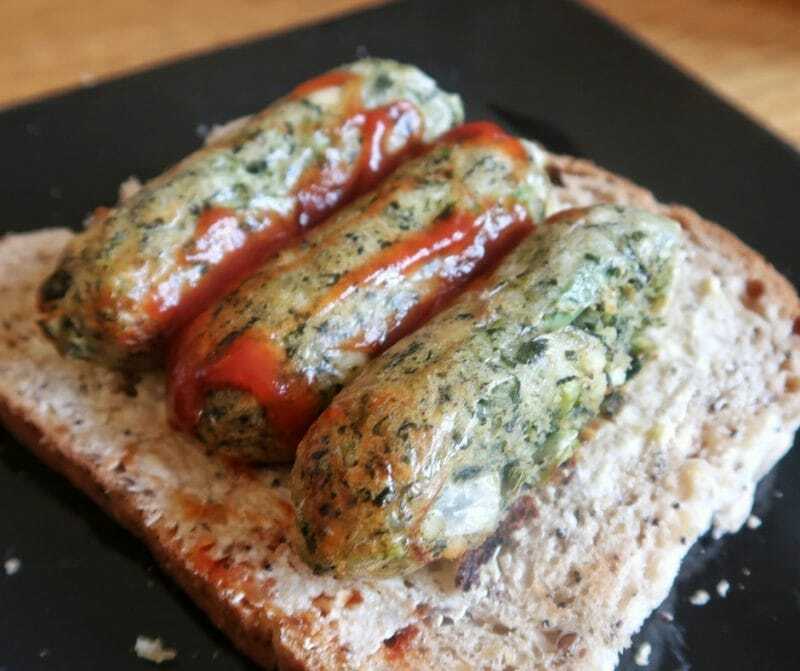 A sausage sandwich may seem like a very indulgent treat, but if you replace pork sausages with vegetarian options, like Goodlife’s French Bean & Spinach Sausages with Wensleydale Cheese, it becomes a much healthier treat. You can expect a normal pork sausage to be around 150 kcal. This Goodlife vegetarian option is just 48 kcal per sausage. We also tried Goodlife’s Mushroom and Spinach Kiev with a Creamy Garlic & Cheese Sauce and their Falafel with Chickpea, Cumin & Coriander. We had the Falafel as an appetiser on an evening when we had guests for dinner, and served them with a range of dips. They were very well-received and disappeared very quickly! I absolutely loved these. I found the sauce in the kievs a little strong. However, this is down to personal preference. I am inspired to try some more of the products from the Goodlife range, such as the Spicy Veg Bean Burgers. 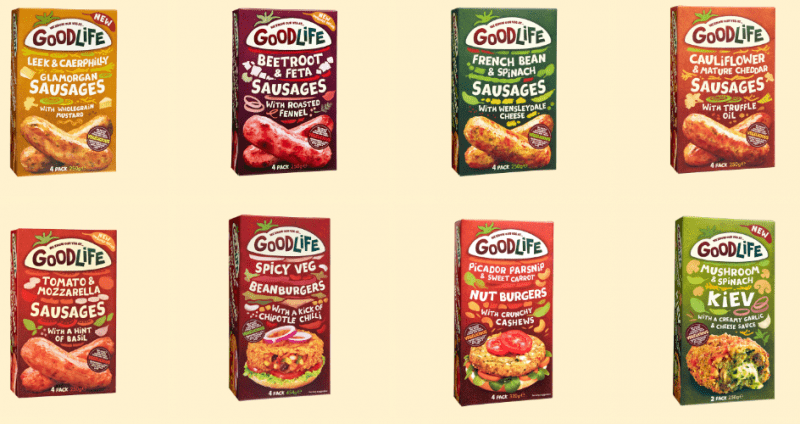 Whether you are a die-hard vegetarian, flexitarian, or just looking to reduce your meat intake for environmental or health reasons, Goodlife products could be a great addition to your weekly shop. They are attractive to look at, made with high-quality ingredients and they come in interesting and unusual flavour combinations. They are also extremely convenient – most take 20 minutes or less in the oven. You can find Goodlife products in Iceland and Waitrose stores around the country, amongst others.